Welcome to the LaSalle Catholic Parishes! Catholicism first came to the City of LaSalle in the Illinois River Valley in 1673 when Father Jacques Marquette and Louis Jolliet traveled upstream on the Illinois River. After years of Mass being offered in private homes, the Holy Cross Church was founded in LaSalle in 1838. Through the years, Catholic ministry in LaSalle expanded to St. Patrick Parish, St. Hyacinth Parish, St. Roch Parish, St. Joseph Parish, and Holy Rosary Parish. Today, the Catholics of LaSalle are served by the Parishes of St. Hyacinth and St. Patrick, as well as Queen of the Holy Rosary Shrine and Trinity Catholic Academy. The Parish office is located at the stone building adjacent to St. Patrick Church. 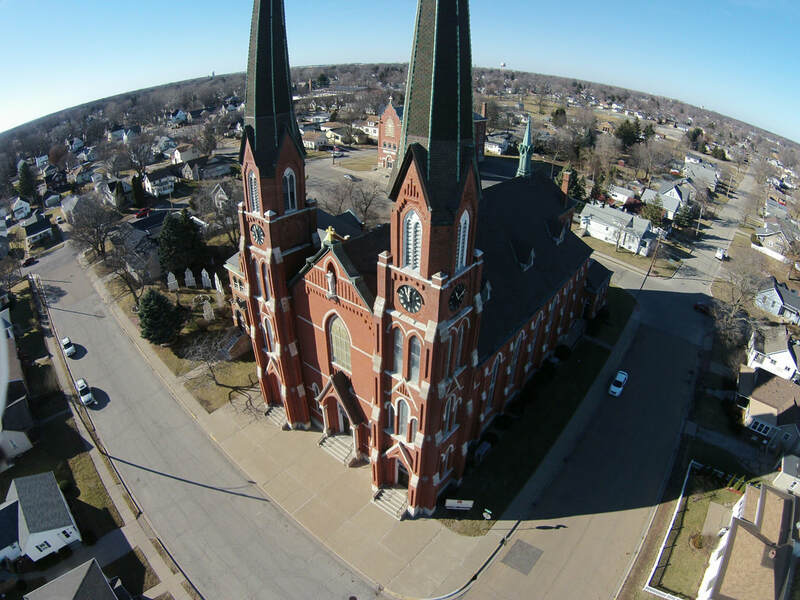 Often called "The Stone Church" the story of St. Patrick Parish dates to 1838, when the St. Louis Diocese sent Fathers Parodi and Raho to minister to Irish-Catholic immigrants working on the I & M Canal. Holy Cross, the original parish church, was located on Third Street. The parish outgrew its original log church and construction of the current church began on May 27, 1846. Completed in 1848, it was designated and built by Patrick Joseph Mullaney. The church was consecrated on April 11, 1853. It retains much of its original architecture. St. Patrick's is the oldest living parish church in Illinois. St. Hyacinth's Church was first organized in 1874 through the efforts of 100 Polish famililies that had settled in the LaSalle area. This wood frame church as erected in 1875 on the site of the persnt day church building at a cost of $7,000. The most Rev. Thomas Foley, D.D. arrived from Chicago to bless the new structure. The name St. Hyacinth was chosen to honor the great Polish saint, St. Hyacinth. The church was destroyed by a fire started by a defective heating system in 1890. Soon after, Father Ladislaus Grabowski raised funds to build a new church. A red brick Gothic styled structure was completed at the northwest corner of Tenth and Tonti in 1892. Three bells were placed within the west steeple of the new church and were named St. Hyacinth, St. Stainslaus, and St. Adelbert. On August 14, 1892, the Most Rev. John Lancastor Spaulding, Bishop of Peoria opened the church with a dedication. Despite another fire in December of 1988, St. Hyacinth’s Church is still a prospering parish. Each year, a mass is held entirely in Polish is held to celebrate it’s Polish heritage. Today, the Polish community of St. Hyacinth Parish co-exists alongside the recently establish Hispanic community of LaSalle. 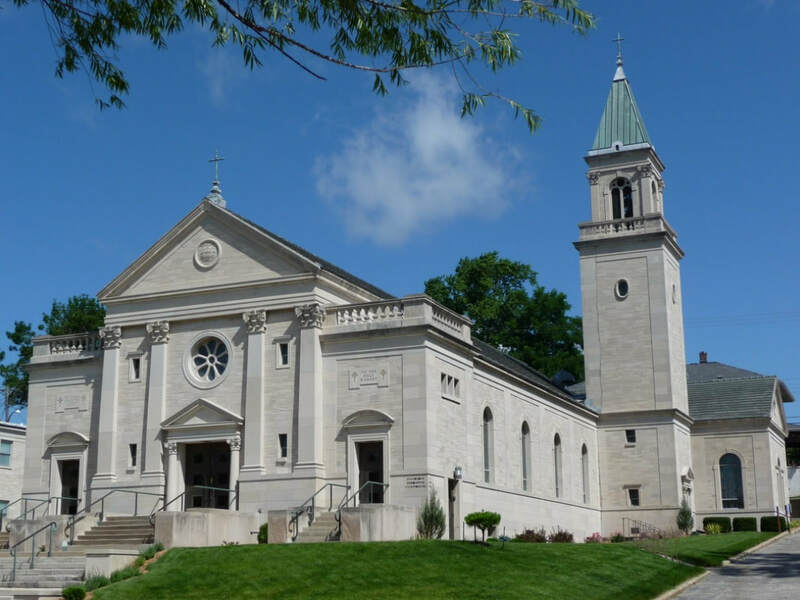 Dedicated in 1954 as Holy Rosary Church, the Italian Community that comprised the parish looked to the Blessed Virgin Mary as Patroness of the Church by enshrining a replica mosaic of Our Lady of Pompeii in the high altar of the church. This mosaic stands as the focal point of the Neo-Italian Renaissance church, surrounded by marble altars and railings from Italy, fifteen different marbles from Italy, France, and North Africa, fifteen stained glass windows from Germany and Belgium, and a marble pulpit weighing three tons, yet able to be moved by one person. 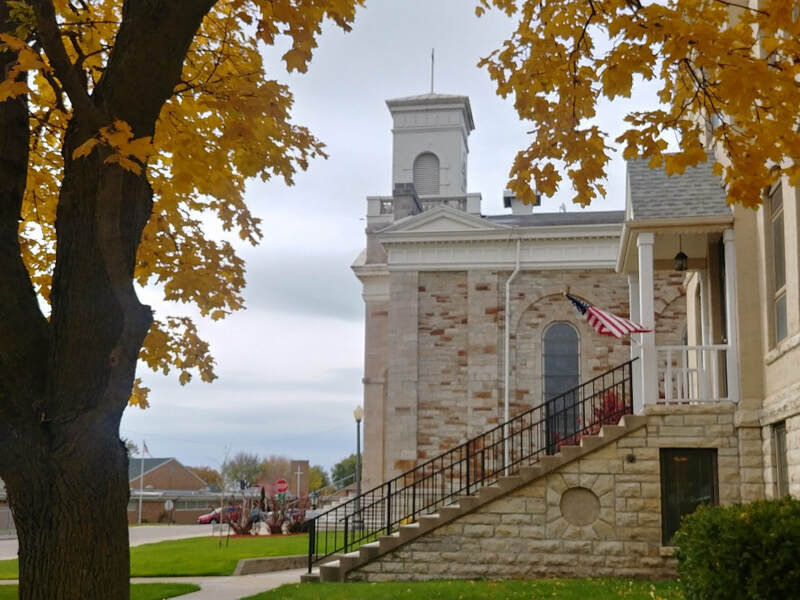 At its dedication service, the church was also named to memorialize seven parishioners who had lost their lives while serving in World War II, as well as all living and deceased military veterans of the U.S. Armed Forces. In 2007, the Most Reverend Danial R. Jenky, Bishop of Peoria, elevated the parish to the rank of Diocesan Shrine. A partial indulgence is granted to those who make a pious pilgrimage to the shrine. Today, Queen of the Holy Rosary Memorial Shrine remains a popular site for weddings, pilgrimages, prayer, and daily devotions.